Recently, we reported on the Top Loader, a soil processing system from Total Systems, that Double Check Lily installed in combination with two cooling drums. 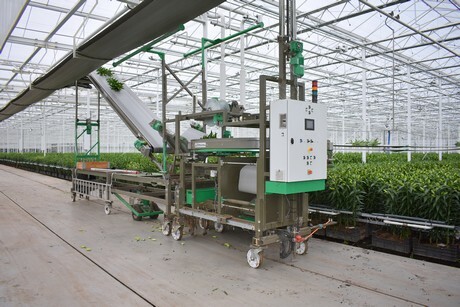 But that was not all, because a complete harvest line was also installed at the grower. The lilies undertake their whole journey from cutting to packaging on Total Systems conveyor belts. "We have set up the necessary lines," says Total Systems sales person Frank Warnaar, "but no two are the same. 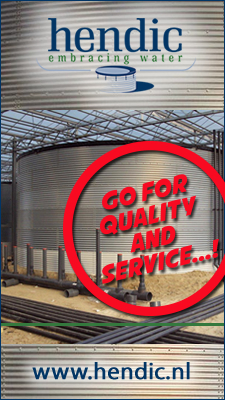 We always try to come up with customer-specific solutions. 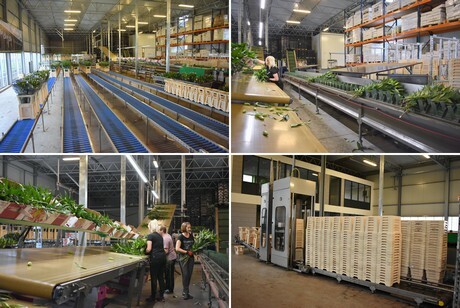 With this flower processing line we have mainly looked at how we can make the entire process as efficient as possible. From a system where the harvest runs as smoothly as possible to processing the flowers and the packaging. 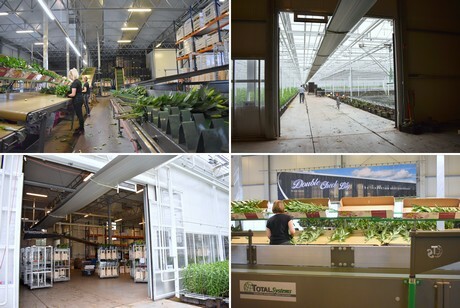 The workflow is always arranged differently for each grower." The entire process of transport and processing requires quite a few actions and machines, involving a multitude of parties. Yet this isn't the case. "We have everything in our hands: from manufacturing the machine parts to installing the machines and the associated software. And we even take care of solving problems, should they occur. That brings responsibility along with it, but that is also due to the fact that we know the entire system from A to Z. We can even observe from our office in the event of a breakdown. This way we see immediately whether something is broken or that it is an electrical problem and we can act immediately."